Stamp Happy: Merry Christmas, Happy Holidays and Happy New Year! It's Christmas time, and the start of a new year soon, and I wanted to say THANK YOU for being the wonderful friends and customers that you are. I truly appreciate you and your support. Being a Close To My Heart consultant is the best job in the world! 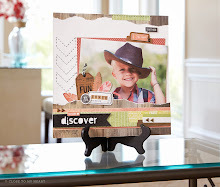 I get to play with paper and stamps, get together with friends, meet new people, teach, share my love of card making, and make money and go on trips! The best part, though, is that I get to help you connect with your friends. The cards that we make in class that we send off to our friends mean so much to them. I know, because people I've sent cards to have told me how touched they are and how special they feel. That's what makes the world go 'round...the connections that we make and keep with one another. Thanks for being a part of my world. I really appreciate you! I hope the coming year is filled with blessings and smiles for you and your family. Peace.